OHM Energy MGMT AND Consultants Pvt. Ltd.
Baliga Lighting Equipments Pvt. Ltd. The company is led by our mentor “Mr. Pichaimuthu Kannimuthu”. Apart from this, his vision and headstrong attitude have helped the company to bring in high-quality products for the consumers. We are quality driven organization and believe in customer satisfaction. Our quality manager further ensures the quality meet under International standards in our complete range of imaging and documentation products. We do a quality inspection of these machines before delivering to our valuable clients. Our wide spacious Infrastructure is equipped with production, supply, storage and many more units. Each unit is managed by the team of expert engineers, technicians, and other professionals. We do quality checking of these imaging and documentation products that meet International quality standards. We manufacture the complete range using the supreme quality raw material. These imaging and documentation products are widely used in corporate, hospitals, defense, government, Banks, educational institutions etc. 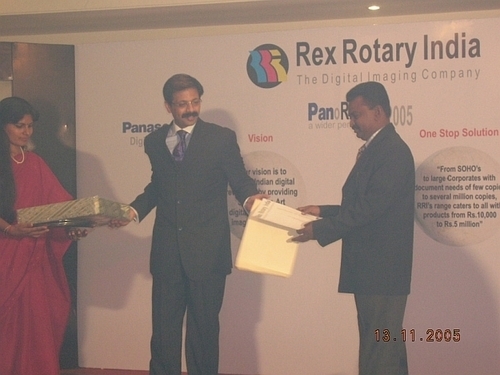 Our organization is the Star Channel Partner Award winner continuously 3 years from renowned organization Xpress Printing Solutions Ltd and Rex Rotary India Pvt. Ltd for Panasonic and Kyocera products. We are renowned for providing complete solution of imaging and documentation products with complete satisfaction to our valuable clients. 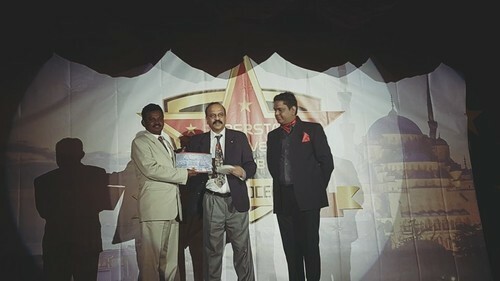 Kyocera Superstar award for 2015 from Kyocera Document Solutions India Pvt. Ltd. at Istanbul, Turkey from National Director, Mr. Chari in October 2015. We have a wide clientele that is spread throughout the globe such as Indian Subcontinent, East Asia, Middle East and South East Asia. We provide complete satisfaction to our valuable clients by fulfilling their complete need. OHM Energy MGMT & Consultants Pvt. Ltd. In order to maintain the reputation over the years, we are involved in providing supreme grade multifunction printers and copier to our patrons. Owing to our professional approach and strong support of our vendors, we have been able to attain a huge client base.